You have a podcast. You have listeners. What now? With email marketing, you can reach out to listeners after the audio ends, building relationships that will help you monetize your podcast. 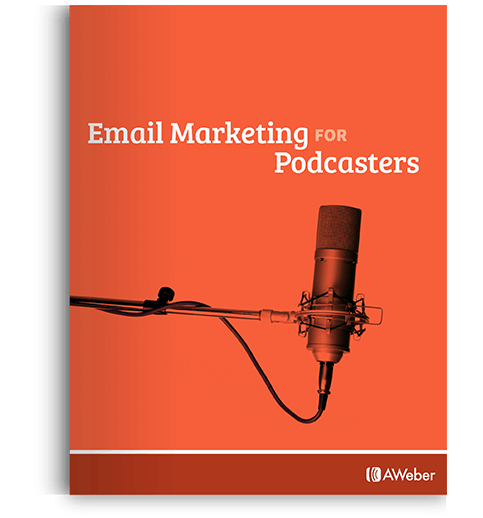 In this free Email Marketing for Podcasters guide, you’ll get access to the essentials you need to get started and succeed with email marketing. Email marketing has the highest return on investment of any marketing channel. That’s right. It’s more effective than social media. And it’s especially useful for podcasters. Connect with your listeners anytime. He’s a podcaster who’s committed to teaching individuals how to start their own online business. 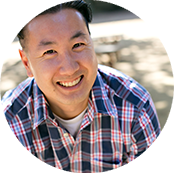 Discover how email helped Steve convert listeners into paying customers. At the end of every podcast episode, Steve invites his listeners to sign up for his free six-day mini-course on starting a profitable online business. To get the course, listeners fill out a sign up form on Steve’s homepage. Once a podcast listener fills out the form and becomes a subscriber, they join an autoresponder email series. Each day, they receive a lesson in the course via email. And Steve doesn’t have to do a thing. So how does Steve make money? He offers a full course on starting an online business and charges for it. And he advertises the course in his email series. In each email after his welcome email, he includes a P.S. that describes his paid course. He provides information about the course as well as a call to action to purchase it. Using his free mini-course, Steve convinces subscribers of the value of his paid course and converts them into customers. All through email. So, if you’re ready to convert your podcast listeners into paying customers and make money with your podcast, start using email marketing today. 5 Steps to Start Sending Emails Like Steve. Your audience could use more relevant, timely emails filled with your valuable content. Your chance to stand out in the inbox is now. To start sending awesome email campaigns, you'll need an email service provider. Get started with AWeber today and try us free for 60 days. Why do we recommend ourselves? Because our entire team is dedicated to help you succeed. Once you sign up, you'll create your first list of subscribers. You can create as many lists as you want — one for facebook fans, one for your podcast, one for your blog or website. Call or live chat with us — we can help you strategize. Already have a list? Import it easily! Starting from scratch? Create a signup form and put it on your website, or have users sign up on your Android or iOS device using AWeber's Atom App. You can use pen and paper lists too, but Atom is more fun! Set up your first autoresponder message and sending will happen automatically! Have updates on your next podcast or a new blog post, or want to share some relevant tips & tricks &emdash; send a one-time broadcast message to one or more relevant lists. Not sure where to start? Don't worry, we’ve got your back.